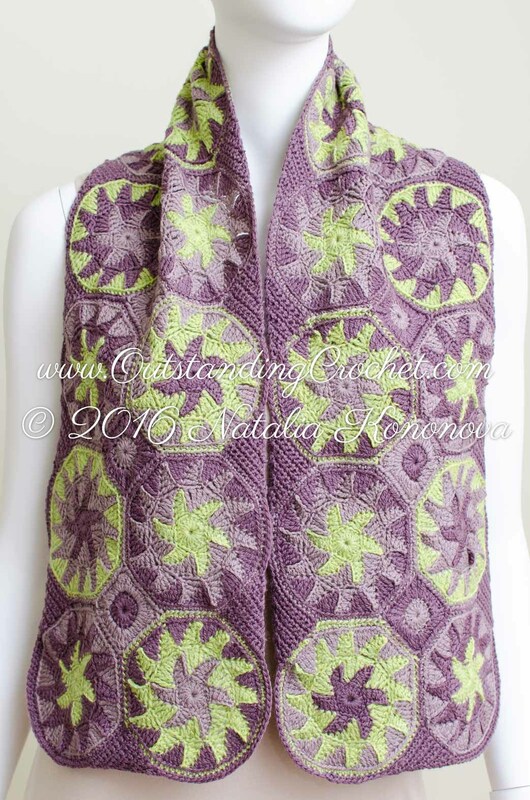 Outstanding Crochet: Crochet pattern im work - sneak peek. Crochet pattern im work - sneak peek. Getting ready for fall. I finished that scarf yesterday and working on a hat and mittens along with step-by-step pictures and instructions. The pattern will be available via my web-site www.outstandingcrochet.com soon. 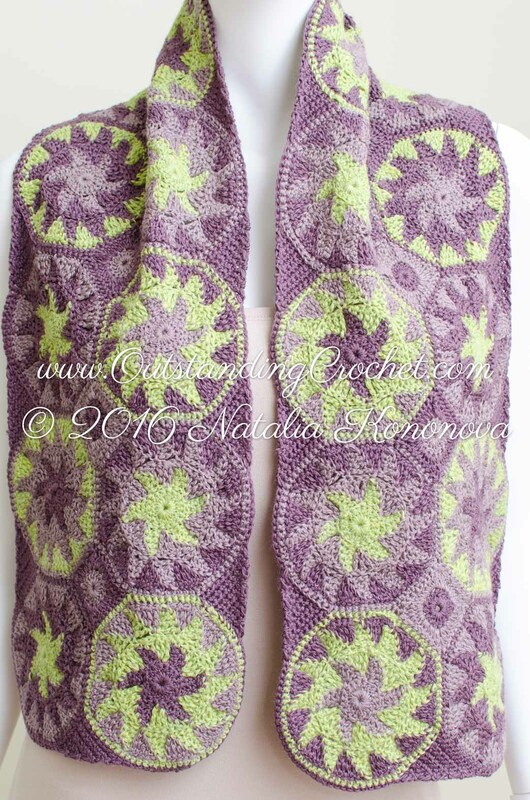 I am also going to submit this pattern to www.KnitPicks.com since this is their yarn and they have amazing independent designers program. If you design, check it out. They give you 100% from sale price and they do yarn support! It's crazy hot in Pennsylvania and we are going camping this weekend!!! Hopefully I will survive! I will do a lot of crocheting at the beach for sure! Check out wrong side: I like it even more than right side! This pattern is gorgeous! Could it be made into a jacket! Beautiful!! 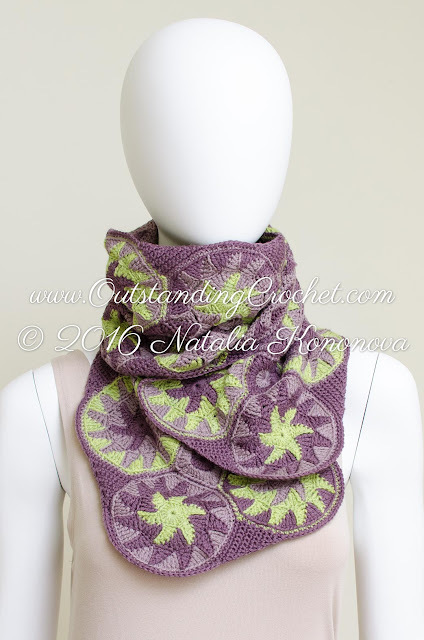 I can't wait until the pattern is available here on your website!